Rabbi Binyomin Forst is a master at explaining halachah in a readable, understandable, and practical manner. In The Kosher Kitchen he explains the basic principles of kashrus and their practical ramifications, showing us how to avoid problematic situations and how to recognize halachic questions and ask them correctly. This beautiful gift edition features: Magnificent two color printing, art quality acid free paper, deluxe padded cover, head-gilded pages, and a ribbon marker. 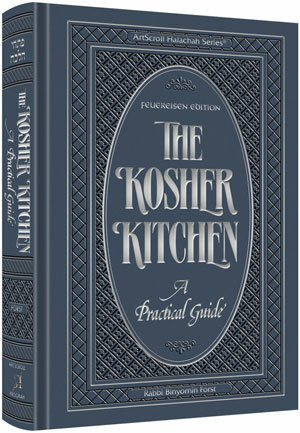 The Kosher Kitchen: Practical. Comprehensive. And absolutely vital.